I’m gonna start the thread early this week as it seems we hit a stride and I’m just excited to get the discussion going! I think this is going to be a tough defensive battle for both teams, but also a game where both teams feel they have something to prove against each other. For the Vikings, they want to show the Jets they made the right move signing Cousins and that there legit. 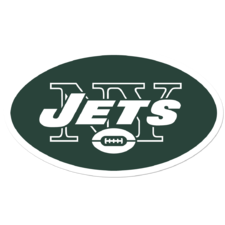 For the Jets, it’s the opposite as they want to show the Vikings that Cousins made a mistake going there and also say thank you to the Vikings because they lead us to Darnold who I believe will be better than Cousins. I'd like to stay optimistic and say we can continue a win streak... but this is going to be a hard one for us to win. They match up better than us in every aspect of the game except special teams maybe. This I hope is one of those games where we look competitive in the loss. Darnold learns some things and the offense at least shows up. On defense it could get ugly. I mean who's guarding Thielen and Diggs for us? We couldn't cover Indys depleted WRs, never mind these 2. I'm actually expecting another shootout. Both teams score 30+. It's going to be tough pull this one out though. Maye is out with a broken finger. Q is out with a high ankle sprain. Rodgers is also returning as dc this week. Not sure how to feel about Rodgers. The d played good without him calling the plays. Kearse is taking the slot role with Pryor working the outside with Anderson. This is a good opportunity for Pryor who has scored a td in the last 2 games. Overall I see us just barely picking up the win. Wanna say 27-24 . When you consider all the top offensive players that did not play last Sunday for the Colts, the defensive was horrible. They dropped a sure TD pass, and how many other passes did the Colts drop. We had no pass rush at all. I did not see any difference between Bowles & Rodgers. To me it looks like a personnel problem, we just need better players. We are still looking for that impact player on defensive, I though it might be Adams, but so far that has not happen, he is still very young and he can only get better. Keep the mojo going with another good game thread. Jets are going all green for this one. Love when we go all white or all green. Darnold is going to need to have another good game if we are going to have any shot. This is going to be a very good test to gauge where we are at. The place should be rocking and we have been playing well at home. If we can somehow contain their pass attack we may be able to be in the game. Hope we get the good Darnold this game because we will need him. Diggs and Thielen are going to eat us alive. I'm just gonna hope Darnold keep progressing. Any other positives will be a cherry on top. Good point I agree, it really is all about Darnold, progressing. The perfect game for Pryor to show out. I the site was down for awhile I was going to post the same thing about Pryor. He has not practice all week, That is why Mac is bringing in two more receives off the street. we Vikes are hungry. we want to pillage your shiny New York things. Capitalized proper nouns but not the start of sentences? Why?